A buck must have three points on at least one side to meet the new rules. Recent changes to the rules for deer hunting are changing the sport. 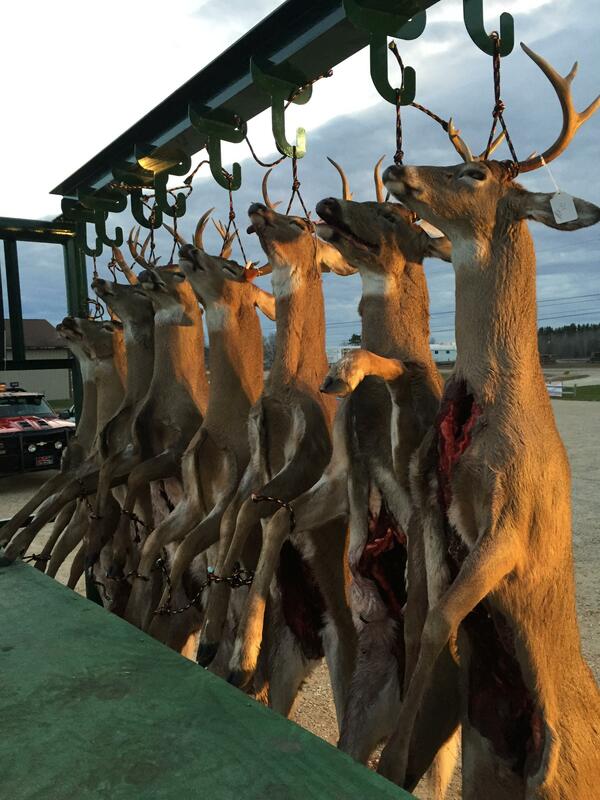 The rules apply to much of the northern Lower Peninsula, and they're more restrictive, making it harder to shoot a buck. Plenty of hunters objected when they were put in place. But after a few years, some say it’s a dramatic improvement and could make the region a hunting destination for people from other states. Randy Shepler’s whole family hunts — his wife and his kids too. They go all over the country on hunting trips. He has a picture of an alligator his nine-year old recently shot. Tonight, they’re near home, at the buck pole in Manton, north of Cadillac. That’s where hunters gather to see who got the biggest buck on opening weekend. This is a new event for Manton, and Shepler says before now it would not have been very exciting. “In this particular area that I’ve always hunted, I mean it was rare to even see a big buck like we've got out there now,” he says. That’s because in the past you could shoot a buck of any size. Shepler says around here, nobody would let one get away because it was too small. The rules changed in 2013 and now a buck has to be a certain size before it can be hunted. The size is measured by the number of points on the antlers. At least one antler has to have three points. That usually means the deer is two and a half years old. At an organized buck pole, there are prizes for winners of categories like the biggest deer, the first deer, and the oldest hunter. The buck pole in Manton. One of the reasons hunters started this event in Manton was to generate some excitement about the new rules. There was grumbling when they were put in place in 2013. Some people just hunt to put meat in their freezer and now it’s harder to do that. But hunters like Lee Stauffer say the change has been dramatic. He says he’s seeing smarter deer. Stauffer expects northern Michigan will become a destination for out of state hunters, people who might otherwise take a trip to Canada or out west. But these rules have not been embraced everywhere. 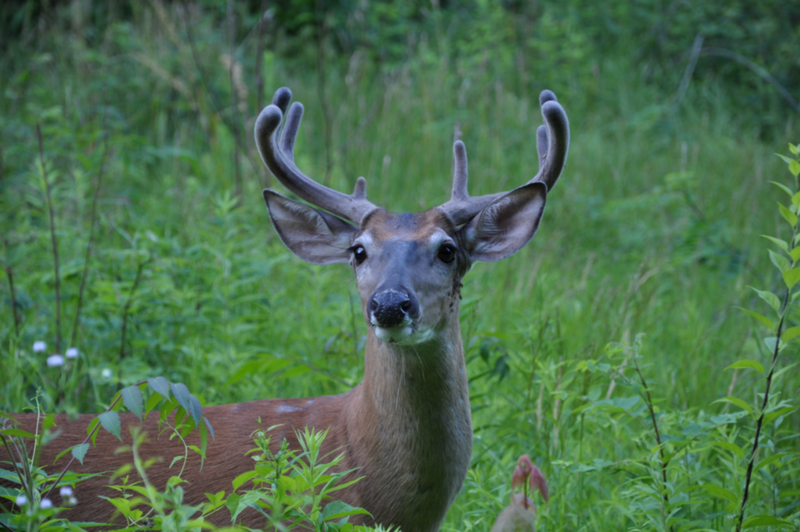 The state asked hunters in southern Michigan if they would like antler restrictions and there was not enough support to move forward. Lynn Gould is a hunter and landowner in Clare County. The state tried antler restrictions there but ended them because hunters were not happy. Gould says allowing people to shoot only the biggest bucks is not a good way to manage wildlife in the long run. “What you’ve got, you've got the lesser quality bucks as your breeding sires. And so harvesting the big bucks all the time over a period of time will lower your genetic pool,” he says. State biologists disagree. They say the program has no effect on the health of the herd. It’s just about a social preference for trophy bucks. Most counties in northwest Lower Michigan started the new restrictions in 2013 and the rules are in place until 2017. The state plans to do a survey then to see if hunters are happy with the change.